As we move into the future with Yoga Therapy as a complementary health tool, we are seeing more injuries, as well as chronic and acute ailments in a multi-level public yoga class. The more we learn how to work with injury, the more we are able to feel confidant how to protect and educate students. 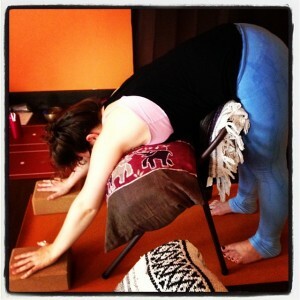 Props are handy to fit individual bodies, as more and more people come to yoga asana (poses) for health related issues. In this series, learn how yoga practice can heal or harm, and how alignment dysfunction may manifest in practice. Regular exercise has been proven to protect from heart disease, stroke, high blood pressure, noninsulin-dependent diabetes, obesity, back pain, osteoporosis, and improved mood and manage stress.